Tomas Höök is an associate professor at Purdue University, and he directs the Illinois-Indiana Sea Grant program. He says a lot of different aquatic creatures eat microplastics, and small fish and zooplankton can eat microplastics instead of their normal food. He says studies showed microplastics reduced the growth, survival, and reproduction of zooplankton, and that could affect the fish that eat them. The International Joint Commission, a treaty organization that advises the United States and Canada, says the two countries should do more to keep microplastics out of the lakes. 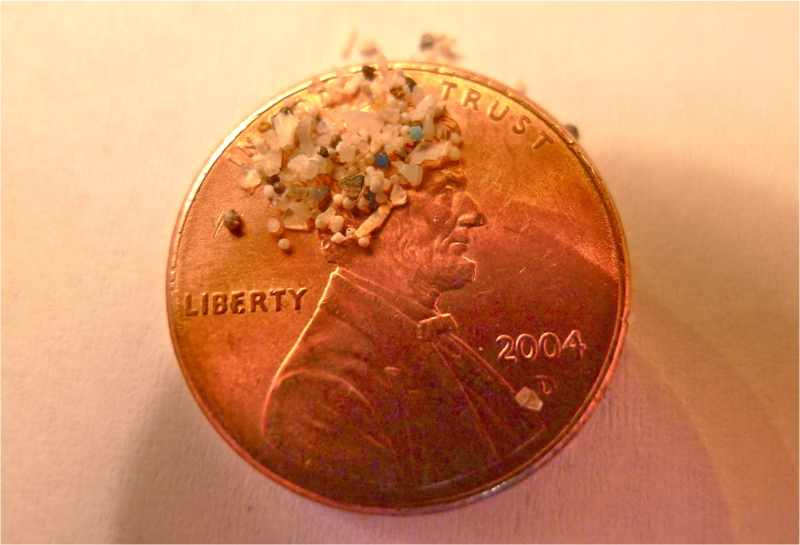 Microplastics are tiny pieces of plastic that are five millimeters or smaller. Microbeads are used in things like soap and toothpaste. Microfibers are tiny fibers that wash off our synthetic clothing, like fleece. Those tiny plastics can end up in the Great Lakes and can get into fish. Tiny particles of plastic are prevalent in rivers that flow into the Great Lakes, according to a new study by scientists with the U.S. Geological Survey and the State University of New York at Fredonia. The study found microplastics in every sample taken from 29 Great Lakes tributaries in six states. These tributaries account for more than 20% of the total river water running into the Great Lakes.